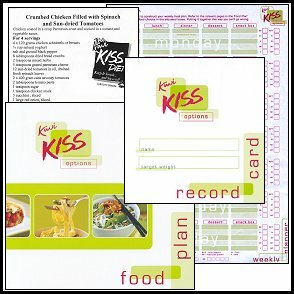 Carolyn Gibson founded the Kiwi KISS classes in July 1984 with the belief that if we could enjoy our meals and use everyday ingredients (no diet foods or artificial sweeteners) then we would be more likely to continue cooking those meals once we had achieved our goal. Too often we follow a strict regime for a short period of time, then return to our old habits along with the return of our weight. Kiwi KISS recipes are used extensively by people wanting to lose weight as well as those who just want a healthy lifestyle. The first classes were established in Glenfield, Auckland, and there are currently 12 Kiwi KISS classes as well as several weekly Corporate Weigh Ins. On joining a class you are weighed, on electronic scales, and together we discuss and set a Target Weight. At the end of the class we take you through the Kiwi KISS Diet so that you are ready to start immediately. We are always available to discuss any queries or problems you are experiencing. We believe the better you understand the food plan the more successful you will be. 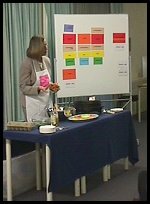 The class format includes a full demonstration of our weekly recipe, a copy of which you take home, and the opportunity to sample, if you wish. This allows you to assess if that particular recipe would fit into your family meals - without wasting your ingredients and time at home. Each week we discuss one behavioural issue to help you learn new skills and tools for not only losing your weight but also keeping it off. Life membership is achieved after having reached your Target Weight and attended a further six classes. You will be provided with a Maintenance booklet and are required to check in with the Class Co-ordinator each week to make sure you stay within your target range. 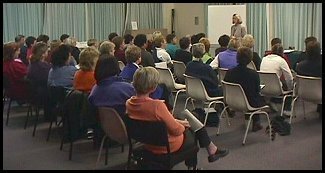 At the end of the six attended classes you are awarded Life Membership which means that as long as you stay within one kilo of your target weight you will not be required to pay a meeting fee. If you go one kilo above your target you are required to pay a meeting fee until you are back within your range - at that time you are, once again, entitled to attend the classes without charge. We encourage you to use this service in order to maintain your weight. "I am serious about weight loss. Losing weight changed my life and I feel privileged to see changes, weekly, in the people in my classes. I prefer to be personally involved in my classes and conduct 12 per week. To me the weekly meetings are more than a weight loss class but rather a gathering of friends. In my classes I have women who have been at LIFE and maintained their weight for over 15 years - so it does become a friendship."